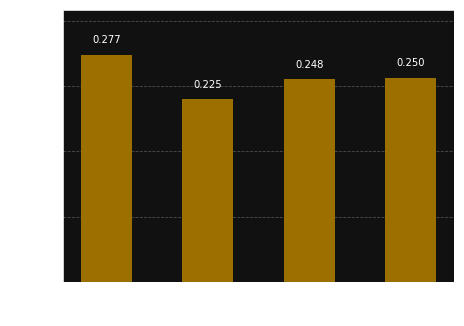 IBM Quantum backends status checked 2019-04-20T13:00:13Z. 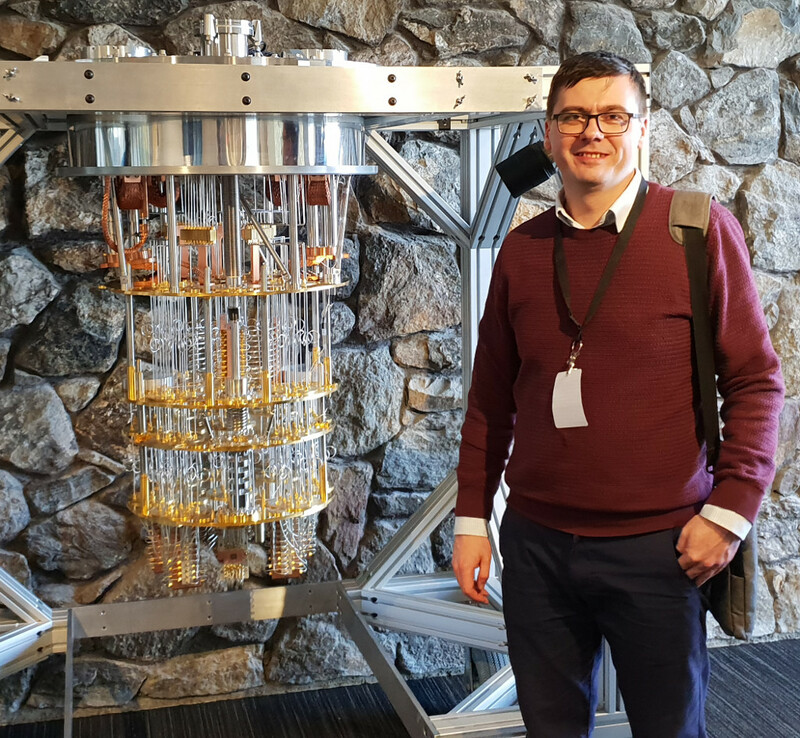 Pariticipated in Qiskit 2019 Camp at IBM Thomas J. Watson Research Center in Yorktown Heights, NY USA. During the 24-hour hackathon in the Mountain Top Inn & Resort Killington, VT, we developed a FlappyQat game for learning quantum gates. 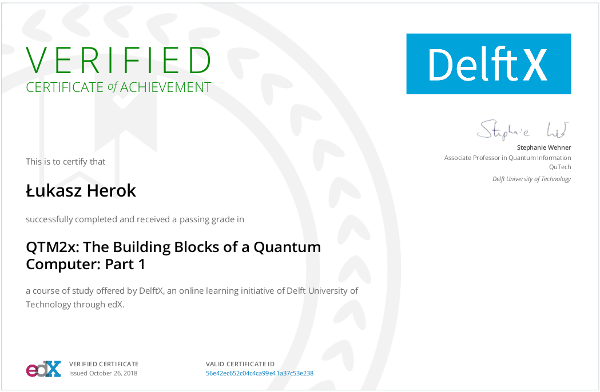 This is to certify that Delft University of Technology Łukasz Herok successfully completed and received a passing grade in QTM2x: The Building Blocks of a Quantum Computer: Part 1 a course of study offered by DelftX, an online learning initiative of Delft University of Technology through edX. Exploring Qiskit Aqua to find out how to provide a \( H_2\) molecule with integrals calculated in spin orbital basis. Computing H2 ground state energy on the Quantum computer, by providing data in the HDF5 file. The HDF5 file was the modified version of the original H2_equilibrium_0.735_sto-3g.hdf5. The modification was done thanks to the HDFView app. Pariticipated in Qiskit Camp at IBM Thomas J. Watson Research Center in Yorktown Heights, NY USA. QuantumCircut is the quantum program. You build it with registers, quantum gates. 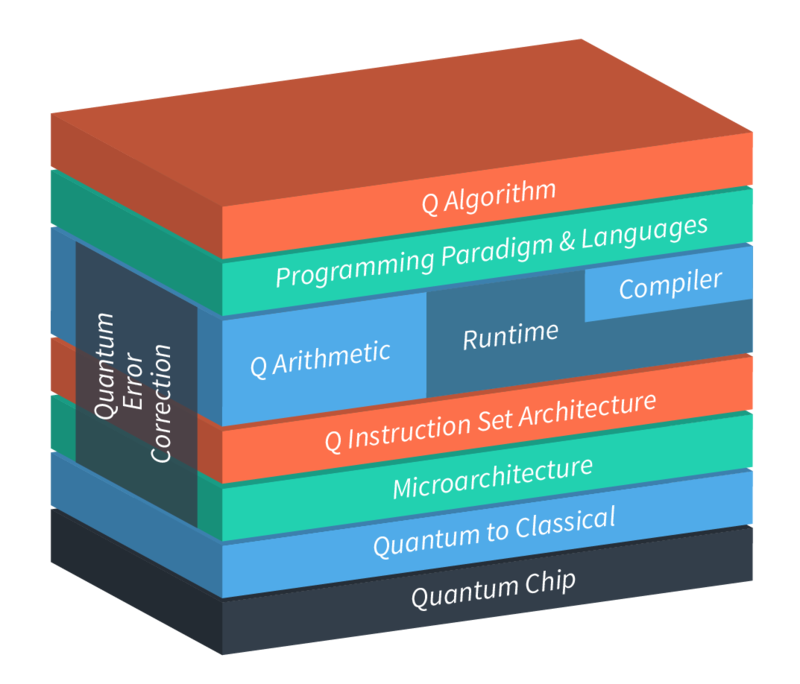 Then compile and run on the quantum chip, without interaction. In the end you get results thanks to measure gates. Small fix Issue 915 for Qiskit Terra. Small help for Qiskit Terra on Github and StackOverflow.